When it comes to ice dam removal in Minneapolis, consumers have many companies to choose from and the task can be exhausting and stressful. Some questions you may be asking yourself are, what equipment should I look for to avoid roof damage, who has enough experience, and so on. We would like to give you a simple solution. Hire us. Why? Because we are a member of the “Ice Dam Steaming Association For Education” IDSAFE which means we have the correct low pressure steam equipment and plenty of experience to remove your ice dam safely and with zero damage done to your roof. Our membership is something we take seriously! We care as much about your roof as you do and our membership attests to this. This association is helping people hire good companies with low pressure steamers and ultimately this helps them avoid companies using high psi pressure washers. 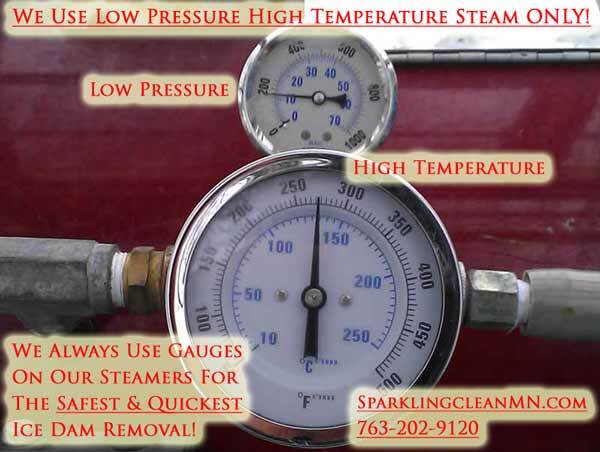 Many companies lie on their websites and over the phone about the “steam” equipment they use. Hiring the wrong company with the wrong equipment can mean replacing or repairing your roof! Sound expensive? Sure would be! Integrity sums up the Ice Dam Steaming Association and our company in one word. Our “Approved Member Number & Logo” are below. Click on the logo below to visit our IDSAFE page. 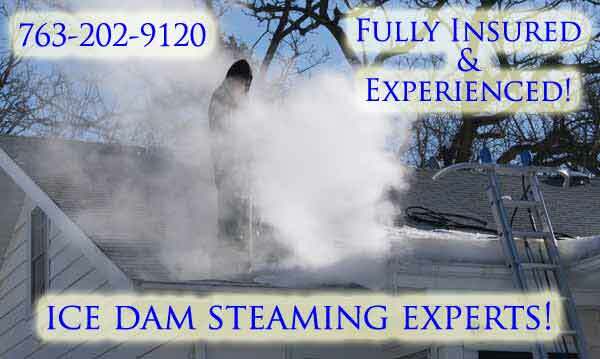 We are fully insured and have years of experience steaming ice dams in Minneapolis. We answer our phones 24/7 during ice dam season and we can usually get to your property the same or next day, especially if you have water leaking into your building. We work with insurance companies in the event of a claim because we have a proven track record of damage free ice dam removal in Minneapolis.